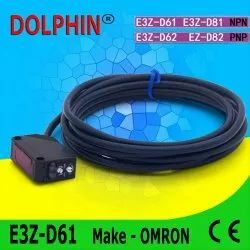 Providing you the best range of photo electric sensor, beam sensor for parking and security, m 18 photo electric sensor and e3z-d61 omron photoelectric switch diffuse sensor npn no sn: 5-100 mm with effective & timely delivery. 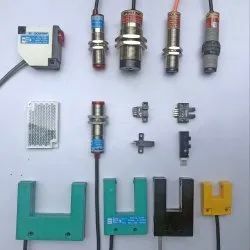 Keeping our synchronization with the development taking place in this industry, we are engrossed in delivering a broad range of Photo Electric Sensor. ( Sense all reflecting target property like paper ,wood , Metal etc. 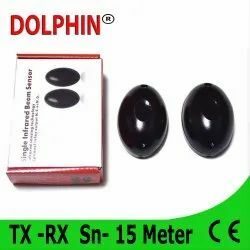 )TX transmitter have two wire for power supply 12 v and 24 vdc and RX have 04 points , Two points used for supply and other two give relay output NO or NC which are selectable . ( Sense all reflecting target property like paper ,wood , Metal etc. )Photo Electric sensor called as diffuse scan because transmitter and reciever in same housing.